It's almost time to put on an early-2000s style turtleneck and cradle a warm cup of coffee with both hands, because Gilmore Girls is about to return with a four-part mini-series on Netflix. With love for Lorelai and Rory at an all-time high, fans are now recreating the fictional Stars Hollow for a Gilmore Girls meet-up. 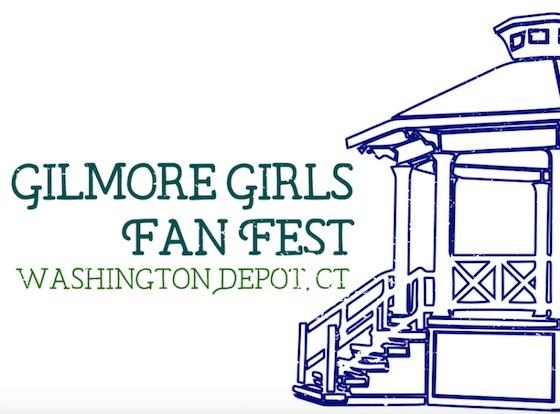 The Gilmore Girls Fan Fest will run from October 21-23 in Washington Depot, CT. That's the town that inspired Amy Sherman-Palladino to create Stars Hollow. She even stayed at their Mayflower Inn while writing the show's pilot. In addition to making the town look like Stars Hollow, organizers have planned screenings, trivia events, a knit-a-thon and, of course, a Friday night dinner. There will also be a town troubadour to sing the show's familiar music. Perhaps they can play some Hep Alien tunes as well. As if that weren't enough for Gilmore fans, there will also be a number of cast members in attendance. These include Kelly Bishop (Emily Gilmore), Jackson Douglas (Jackson Belleville), Yanic Truesdale (Michel Gerard), Vanessa Marano (April Nardini), Rini Bell (Lulu), Aris Alvarado (Caesar), Biff Yeager (Tom) and Ted Rooney (Morey). For more information on the Gilmore Girls Fan Fest, visit the event's official site here. Netflix will relaunch Gilmore Girls on November 25.